February 17, 2018 By Tina M Leave a Comment This post may contain affiliate links. Read my disclosure policy here. I get asked LOTS of questions when it comes to planning a Walt Disney World® vacation. 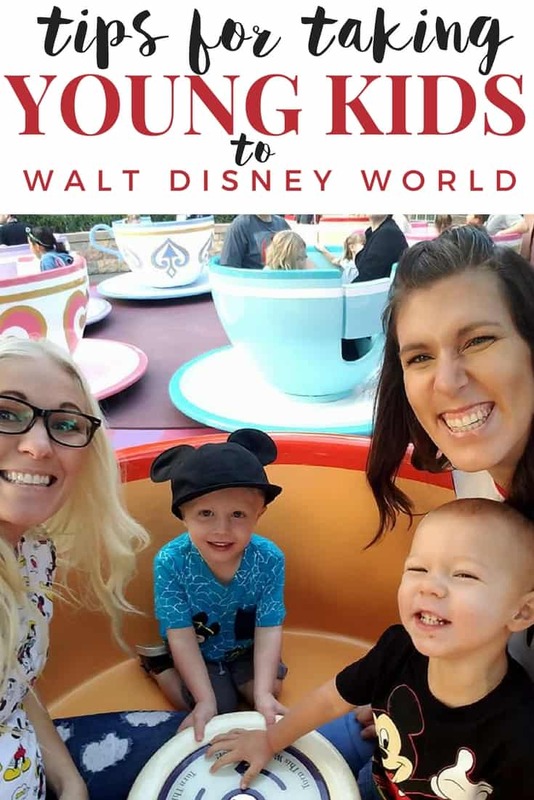 One of the most frequent questions I see parents ask is, “What is the best age to take my child to Walt Disney World®?” Some parents of preschool-aged children even ask, “Should I wait until they are older? 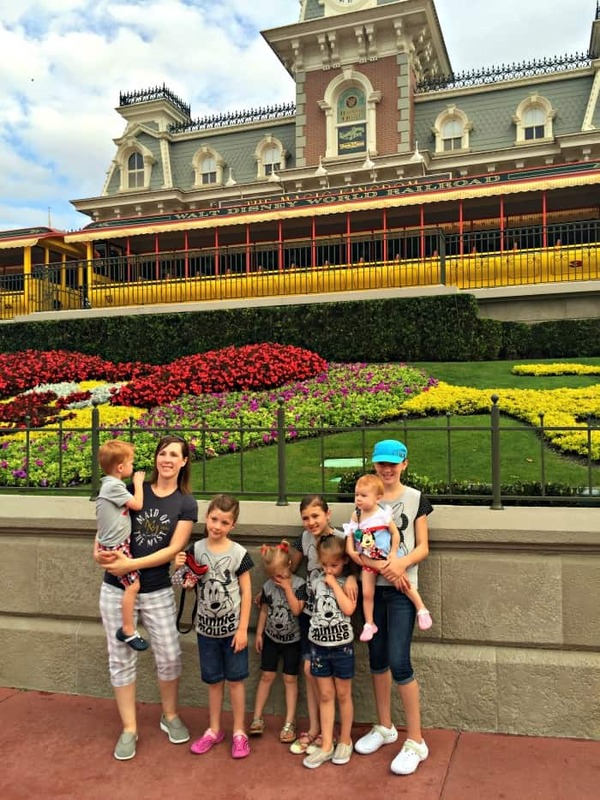 When they will actually enjoy it?” I always answer emphatically, “Take them NOW.” I have taken every single one of my children on a Disney vacation as babies, toddlers and preschoolers and we have had a great time. 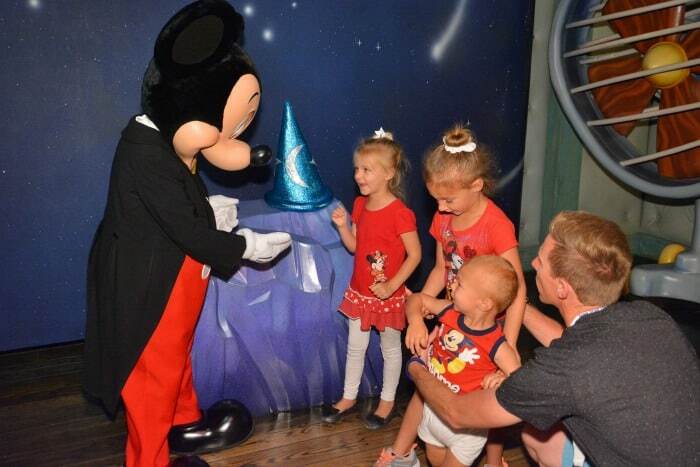 Preschoolers especially are THE PRIME age because they are the most captivated by the magic! The delight on their faces as they watch the magic unfold before them is priceless. Can this age group also be unpleasant at times? I guess this is why some parents doubt whether they should take them or not. But as long as you are prepared and follow the tips below, you can have the most wonderful experience with this age group. Eat small snacks frequently. One of the biggest ways you can avoid grumpy toddlers or unexpected meltdowns is to make sure they are constantly fed. Make sure you have plenty of snacks on hand, including some healthy options that will keep their blood sugar regular. They are going to need snacks more frequently than they would at home because of the faster pace of your day. Keeping the belly happy keeps the kids happy (usually). Don’t rush things. One of the biggest mistakes you can make with preschool-aged children at Walt Disney World® is to rush things. Pay attention to the things they get excited about and make sure you are taking the time to stop and embrace the magic. The point is to have a magical and happy experience in the park, not to ride every single ride. Everyone will be much happier if you remember this principle. Sometimes my kids are so thrilled by a certain ride that we will take the time to ride it again. Create learning experiences. Preschoolers are not just the perfect age for picking up on the magic of the experience, but they are also constantly wanting to learn about their environment. As you are waiting in lines or walking around, ask lots of questions about what they are seeing and doing. This will also be key to providing distractions when they need to wait longer than they are used to waiting. See scholastic.com/PreschoolersMagical for some extra fun ways to create a learning experience for your preschooler. 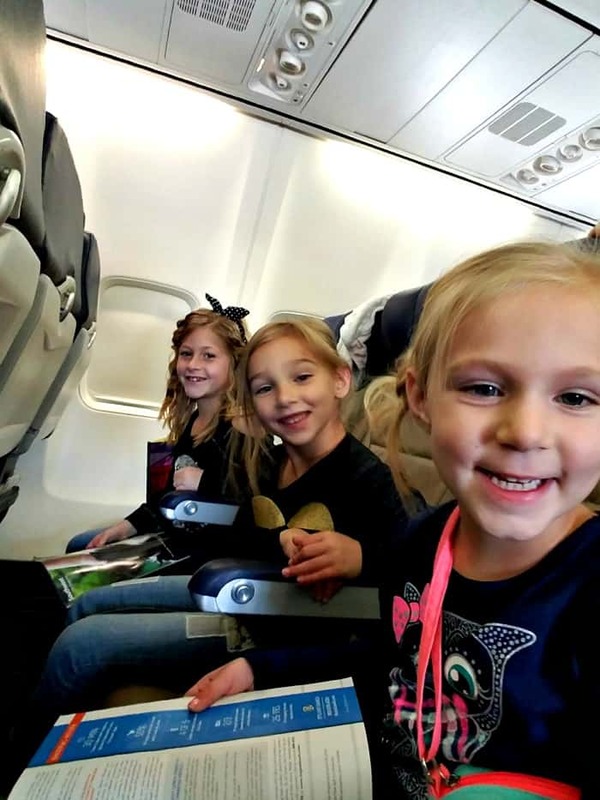 You will also find lots of travel tips specific to this age group. Make bathrooms stops every time you pass one. Another way that we have made our Walt Disney World® vacations more successful is to make frequent bathroom stops. You don’t want to get in line for a ride only to find out your young child needs to “go” just minutes later. They can’t hold it as long as you can, so it’s important to ask them to go before they know they need to. This will save you time, and save you from unnecessary accidents. It’s always a good idea to bring a change of clothes too, so that should an accident occur, your day isn’t thrown off too much. Let go of your routine. You may have a strict routine that you stick to at home (nap time, meal times, etc. ), but it’s best to be more flexible on vacation. We’ve always had the best luck letting our children fall asleep in strollers when they are tired, rather than trying to force a nap at a certain time. They might be too excited at certain times to be able to wind down very easily. Instead of following a certain schedule, watch for signs of fatigue and be flexible during these times. Instead of pushing one more ride, you might take this time to grab a bite to eat or catch a show. You know your child best! Let your children make choices. Remember that this is their vacation too, and preschoolers especially are all about making independent choices. Give them choices and ask for feedback on what they want their day to look like. I always let my kids earn money before the trip starts so that they know what their budget is for souvenirs and extras. For my preschoolers, I let them know that they get to pick one special toy on the last day. This keeps them from wanting to buy the first thing they see, and then experiencing buyer’s remorse when they see all the other great options in the park. Each day when they find something they like, I take a picture of it with my phone so that they can make a final decision on the last day. Take lots of pictures. Don’t be in such a rush that you forget to take lots of pictures of the experience! Half of the joy of vacations is remembering the experiences for years to come. My kids still love to browse through pictures that we took at Walt Disney World® several years ago. We hope you enjoyed these tips and that your vacation is extra magical because of them! Don’t forget to enter the Sweepstakes below for a chance to win a trip! For a chance to win a vacation to Walt Disney World® Resort, go to Scholastic.com/PreschoolersMagical. A new question about Walt Disney World® or Disney characters will be posted on the Scholastic Parents Facebook page each Thursday from 2/1/18 through 2/28/18 inviting you to ask your children the question and leave a comment on the indicated post with your child’s response to be entered for a chance to win a vacation to Walt Disney World® Resort. NO PURCHASE NECESSARY. Legal residents of the 50 US & DC. 18+ with at least one child who is currently 12 years of age or younger at the time of entry. Void where prohibited. Ends 2/28/18. Limit 1 answer per day. Click through for the Official Rules. This is a sponsored conversation written by me on behalf of Walt Disney World® and Scholastic. Opinions and text are all mine. 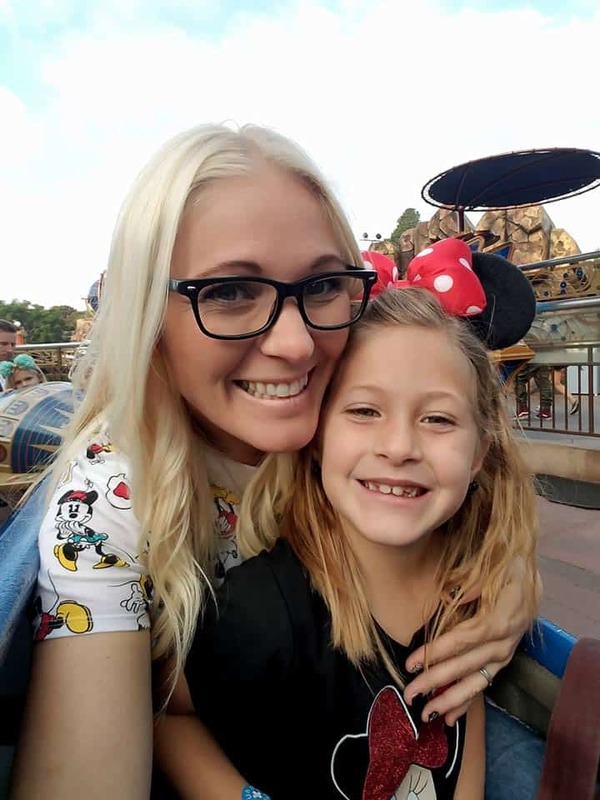 Do you have some tips for taking young kids to Disneyworld? !